£100 deposit and balance 6 weeks before. A £50 returnable security bond is also required with final payment. We have our own cleaner and it's cleaned to a very high standard. 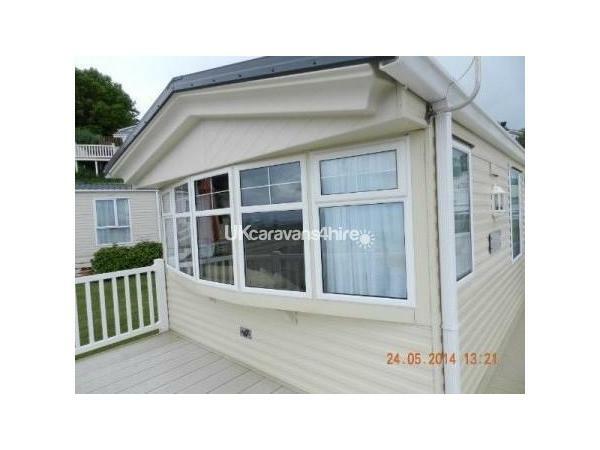 Welcome to our family owned 38 x 12 foot Willerby Granada XL Platinum Grade Holiday Home situated on Waterside Park . 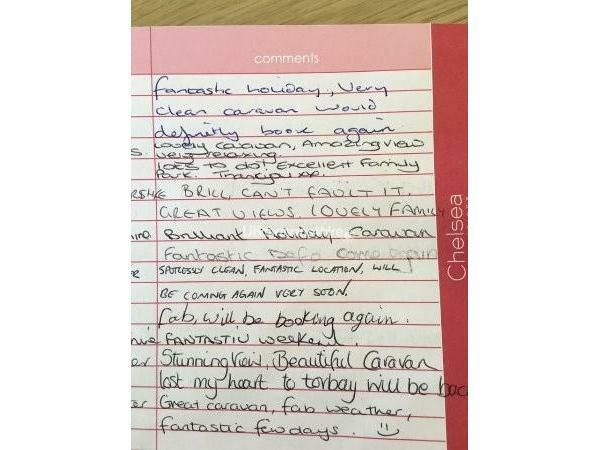 We have an excellent spot overlooking wonderful views of Torbay and the steam railway. We have parking for one car but also lots of parking spaces on site for extra cars if needed. 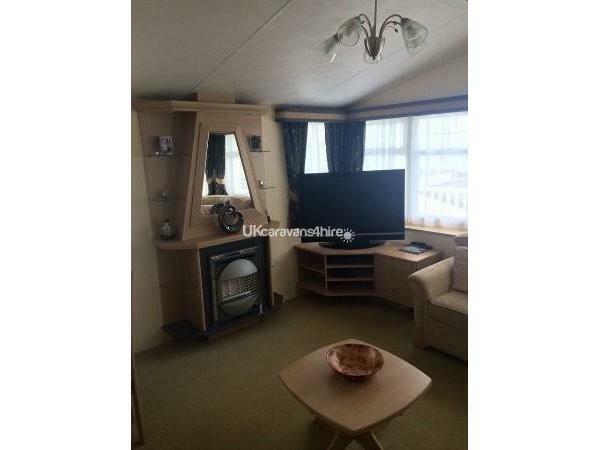 We have a large L shaped sofa that can seat at least 6 people, this also turns into a nice double bed, a 40 inch TV And DVD Player and Humax box so you can still watch freeview programs and also record too. Full gas fired radiator central Heating and gas fire. 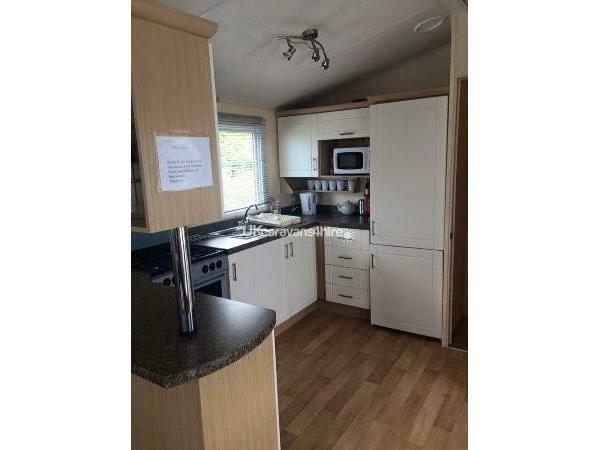 Fully Fitted kitchen including an integrated Fridge/Freezer, microwave, toaster and kettle. We also have an excellent range of utensils too. The dining area has a table and 4 chairs. 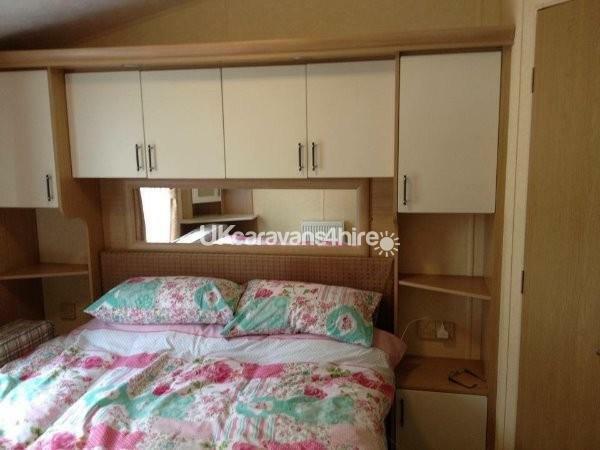 The main bedroom has a king-size bed, double wardrobes plus lots of additional storage. 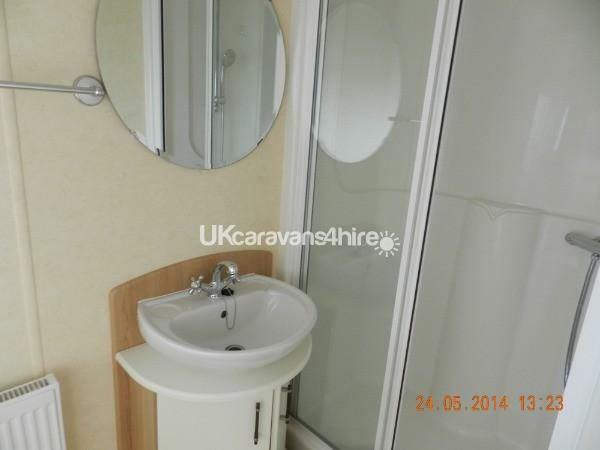 En suite toilet and basin. The second bedroom has 2 single beds and a single wardrobe. Bathroom - shower cubicle, basin and WC. Outside we have a large deck area with a patio table with 4 chairs. We have a gate on the deck so it's lovely and safe for the children to play. We have out own cleaner who cleans to a high standard. We have both summer and winter duvets. We provide pillows too. You are required to provide your own bed linen and towels. We do not accept dogs anymore due to rules not being followed. 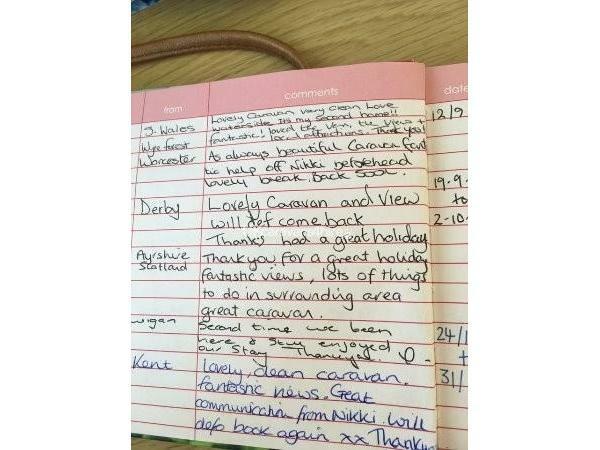 Any dogs seen in the caravan will be reported to us and you will be asked to leave. Fantastic caravan on a nice park. Very clean, modern and cosy. The decking is brilliant and the views are to die for. Plenty to do locally so no chance of getting board. 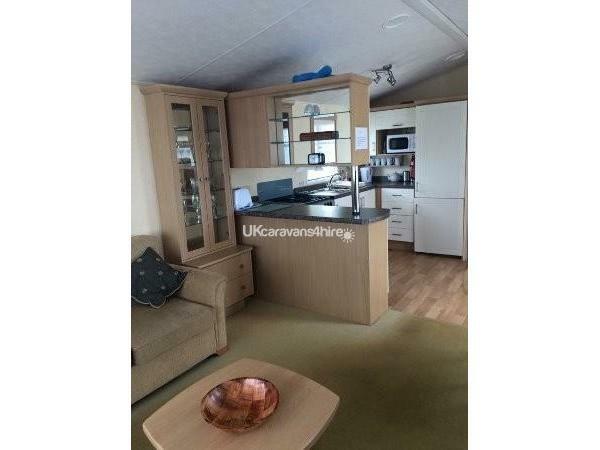 The owners were a pleasure to deal with and I would highly recommend this caravan. Can't wait to go back. 2nd stay in this beautiful caravan,can't fault it,very comfortable and clean with stunning views,so many lovely towns and attractions nearby always something to do and places to visit,will be returning in 2017 hopefully for 2 weeks,highly recommended won't be disappointed. 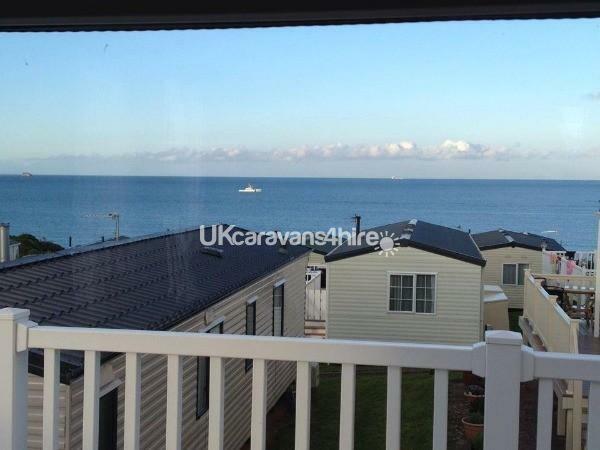 This was without doubt the nicest caravan we've stayed in, very clean and well stocked with fantastic enclosed decking overlooking Torbay and the same stunning view from the living room. 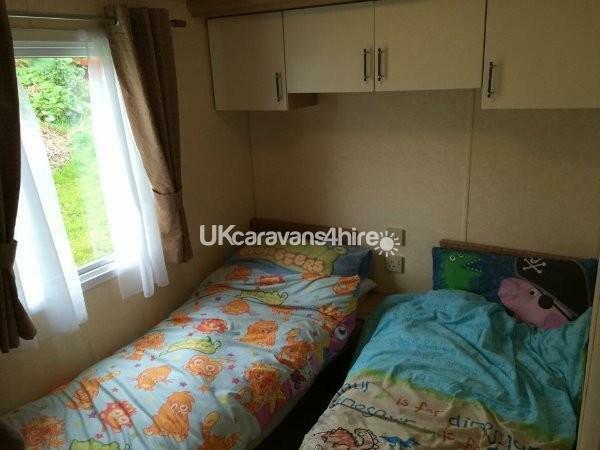 Lovely big main bedroom with kingsize bed and ensuite toilet. Twin bedroom nice size too and very comfortable living space. Absolutely fantastic holiday, can't wait to return next year. 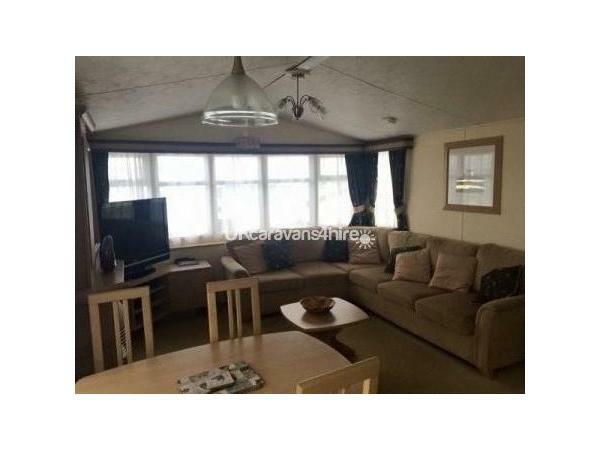 Lovely caravan with stunning views,we've been taking caravan holidays for the past 25 years and this is by far the best caravan we've stayed in,very clean and modern was a pleasure to holiday there,definitely going to return soon.